PowerMTA is no doubt great MTA but it requires lots of configuration to make it work intelligently. If your pmta license have Out bound connections limit than you have to configure it smartly, to free up connections and increase emails per minute/hour. PowerMTA tries to resolve Domain to IP (If it fails, it doesn’t make tcp connection, through DnsQueryFailed error), then it tries to make tcp connection and wait for SMTP greeting. (It keeps trying until smtp-greeting-timeout value (default 5m) reaches.After5 minutes, connection is killed and this process is repeated until bounce-after (in your global domain configuration) is reached. One more technique is to bounce back all domains that doesn’t have MX record. This would help you to reduce your PMTA Queue. PowerMTA suggests to set it to 5 minute(If your network is not reliable) I disagree. 60 seconds are more than enough for remote MTA to response. dummy-smtp-port – is SMTP black-hole, is powermta feature that use to listen for dummy SMTP connections. This new configuration would require to restart your PowerMTA(service pmta restart) You can refer to official document and find which configuration requires reload and restart. How to identify these messages in accounting log file? How to mark them in bad-domain category? You will need to create bounce-category-patterns to handle this. Now, if you process accounting log file, you would see all these domains under bad-domain category instead Other. You are the best.Recently, I looked around about this topic.I’m still using pmta v3.5. I hope this really works on my config. It will work on pmta v.35. Any one can help in this? If you could provide a little more detail? Is there a way to send the bounce back to the bounce address? For example. We use intersperse on a remote server. Email gets relayed through pmta on remote server. Email bounces due to wrong domain, it gets logged in Acc files but no message is send back to bounce address in interspire. once you applied above configuration you will see those invalid domain under bad-domains category. You can dump pmta logs into a database and then through a script mark all those email address that have delivery category bad-domains as bad emails. this way it will get filtered. you contact me via http://www.hackersgarage.com/about-syed-alam as well. 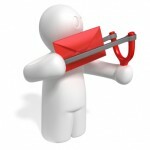 I have found a way to send bounces back to Interspire email marketer from PowerMTA. All you need to do is add this to your pmta config. Once the email is bounced in PMTA 5.x.x it will send the Notification back to the bounce email interspire is using. Previous post: What is PowerMTA ?